John Monk, a guard for V.M.A. Security Group, patrols the McDonald's at Telegraph Avenue and 46th Street from 9 a.m. to 2 p.m. His job duties include scanning the restaurant and respectfully asking disorderly homeless people to leave the parking lot and sidewalk. But the house next door, he says, does not attract the same behavior. It's a vacant, sprawling two-story property with pink siding, weathered Creo-Dipt shingles, broad windows, a manicured front yard and an extinguished neon sign and blank marquee. "Hooper's Chocolates," reads the sign. " I love to make good candy.' "
"It's a fine place," says Monk, puffing on a cigarette. "It's been there as long as I know." 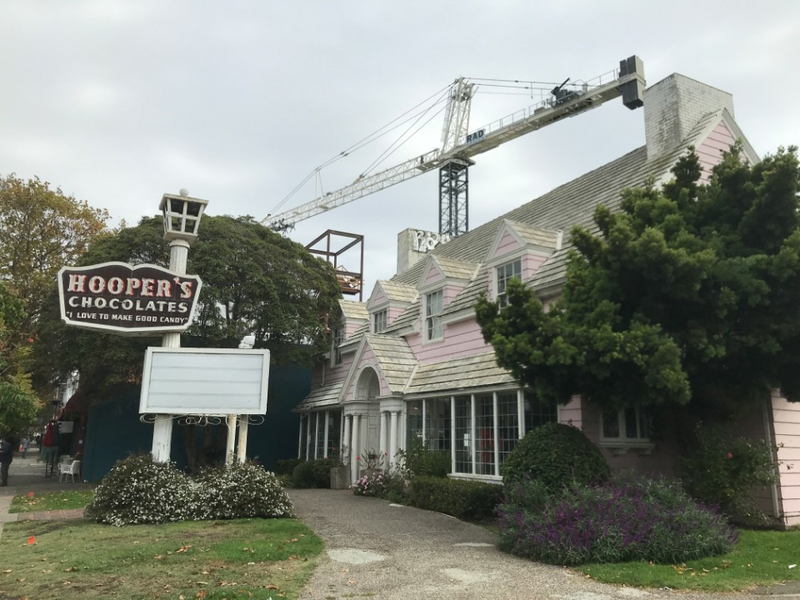 The pink chocolate shop/factory has been largely vacant since late 2016. 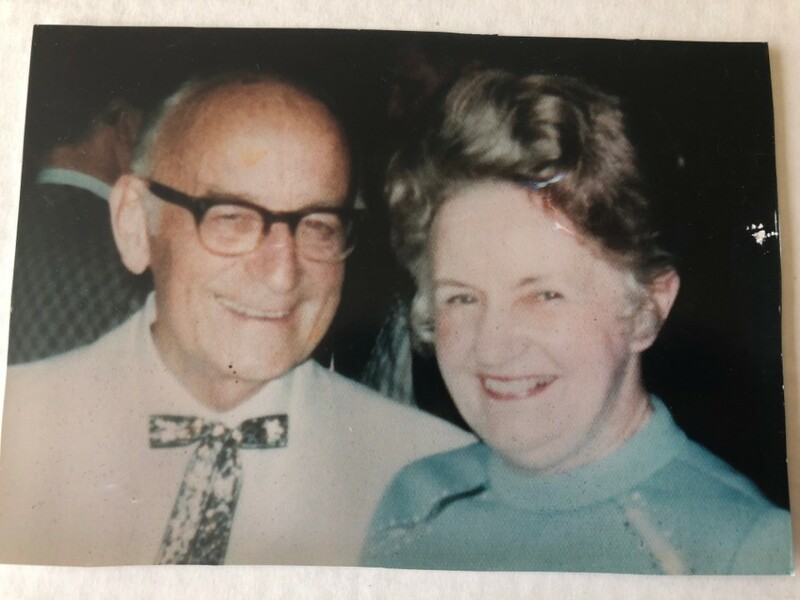 The Cape Cod-style house, which opened in 1930 as the factory for Margaret Burnham Cottage Candies, was sold in 1950 to Barbara and Gordon Hooper, a married couple who'd been making chocolate in their Oakland garage since 39. To survive on the homefront during World War II, the Hoopers swapped non-essential ration cards (margarine, jam) for their neighbors' sugar cards, using them to sustain the business, said Cindy Rhoda, one of the Hoopers' five grandchildren. 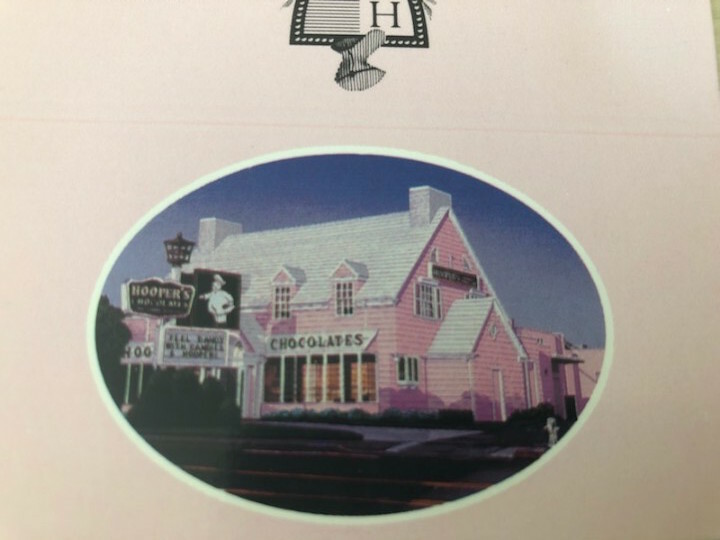 Their thrift eventually propelled them into the great shingled house, from which three generations of Hoopers would supply the Bay Area with cakes and chocolates until 1990. "It was a family affair," said Rhoda. "That's where you learned how to work." Identified in brochures as "Lady Hooper," Barbara led the retail shop in the front, while Gordon, "Chef Hooper," manned the kitchen in the back. The other family members settled into supporting roles. For Rhoda, who worked there between ages 15 and 30, that meant operating and eventually supervising all machinery in the kitchen. Rhoda, now 62, recalls the blast of warm sweet air upon entering the building. Ceiling pipes conveyed hundreds of gallons of melted chocolate daily, and local delivery men regularly replenished the factory's butter, cream and sugar. "In the street, there was a pipe where the guy would come with the corn syrup," said Rhoda, "He'd pump it through, just like you would milk." Gordon Hooper died in 1988. In 1990, the business was sold, and Barbara passed away on New Year's Eve a year later. 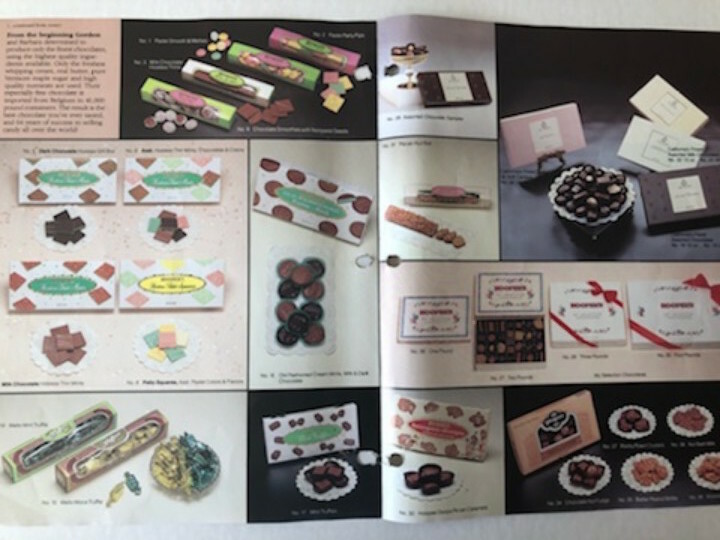 The chocolate shop fell into multiple hands over the next 20 years, but through all the changes -- including a thorough rebranding by a San Francisco investment group -- it retained its name, and the pink. In March 2017, the freshly vacant building was burgled twice in a week. Oakland police officers called to the scene inspected the multifaceted perimeter, climbed the narrow staircase and entered all the rooms and closets. Then they asked Rhoda, who manages the property for her mother, Robin Hooper Phillips, if they could use the space to train police dogs. 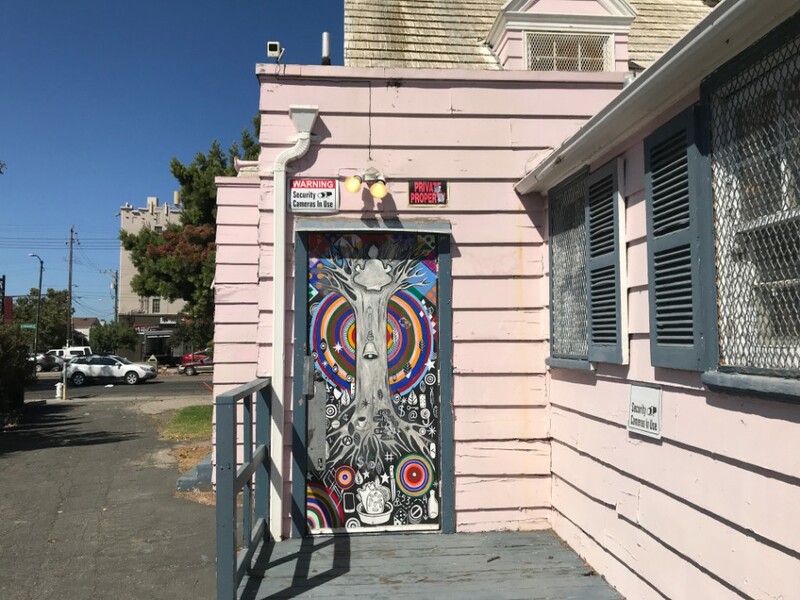 "It was big, and it had lots of rooms," explains Marcell Patterson, the Oakland Police Department's canine unit coordinator. "The more stuff you can expose a dog to, the better." An artist has made a discreet addition to the neighborhood landmark. But the home's canine occupancy is soon to come to an end. No dog has been loosed in the building for months, said Patterson. Paper signs in the windows still warn potential trespassers about the K-9 unit's activities in 11-point font. But alongside those warnings, there are now For Rent signs displaying Rhoda's name and number. "Lots of people are interested," Rhoda said, though she declined to name the potential tenants. "I suspect in the next month or so, it will be decided." 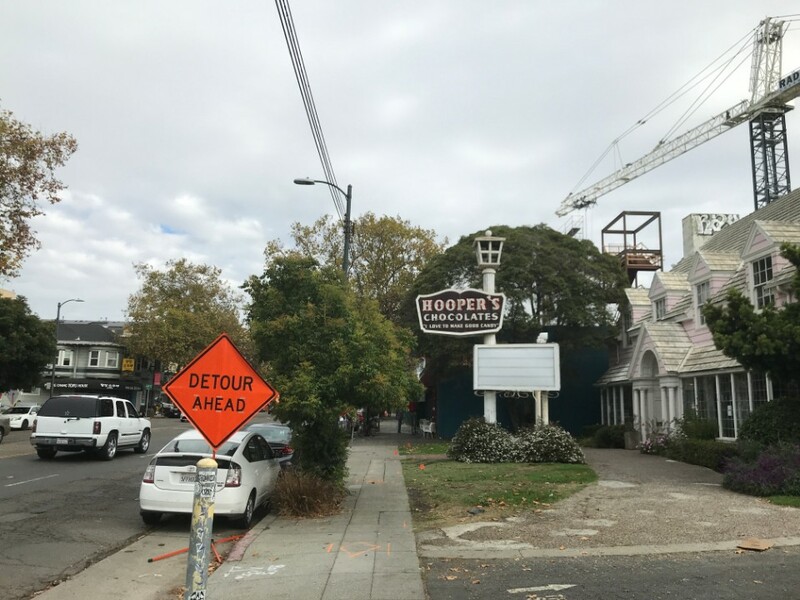 News of the building's fate should satisfy the curiosity of the dozens of pedestrians who pause to squint at the sign each day. Nu Ho, co-owner of neighboring Aunt Mary's Cafe, says she'll welcome it too. "It's sad that it's been sitting there so long," she said. Monk, the security guard, who turns 52 in November, doesn't see why the landmark should serve any purpose other than the one it was built for. "Everybody likes chocolate," he says. "Because chocolate's like coffee, you know? You need that."